"It's the oldest trick in the book. Kill someone off to juice the ratings!" Sometimes, the writers will kill off a fairly major character. Because this is a relatively rare event, the death will be hyped up beforehand in ads. In television, these episodes are ratings stunts, perhaps broadcast as a season finale or (in the U.S.) during Sweeps week. This trope differs from Anyone Can Die, since in that trope, death is relatively unannounced, to reemphasize the shock, whereas in Tonight Someone Dies, the event is milked for all it is worth before it happens. In ages past, Contractual Immortality was more dominant. The Tonight Someone Dies promotion would typically consist of a high-speed montage of the series regulars as an ominous voice announced that "Tonight, one of these people will die." Invariably, the doomed character would turn out to be a minor character, one who had never appeared before or was a recent addition, whose presence in the montage was probably overlooked. Killing off a major character might actually be seen as a subversion of this old trick. Over time, it has become more common to remind viewers that Anyone Can Die, and even regular characters are not exempt from death in a ratings ploy. Tonight Someone Dies tends to occur in more mass market shows, such as ER. See also Contractual Immortality, Killed Off for Real, Disney Death, Chekhov's Gun, Not-So-Small Role, Sorting Algorithm of Mortality, Bus Crash. Compare the less vague/buzzworthy Oh, and X Dies. Famously subverted early in Martian Successor Nadesico: After parodying this trope in the Show Within a Show Gekiganger III, one episode strongly foreshadows the death of Jun Aoi, series Buttmonkey, who tries to make up for a FaceHeel Turn by a Heroic Sacrifice. Although he manages to avoid Redemption Equals Death, the incredibly popular character Gai Daigouji, Otaku and Anime-style mentor to the protagonist, is suddenly and anticlimactically Killed Off for Real by an escaping Admiral who had been held prisoner. Gai didn't die trying to stop the escape — he never even knew what was happening. In fact, his death is intentionally written to be as random and meaningless as possible, which just compounds the tragedy since Gai always wanted to go out in a Heroic Sacrifice. Famously -to the point of reaching Memetic Mutation levels- subverted in an Mazinger Z episode. The tile of that episode was Kouji Kabuto Dies In Lava!. Guess what DOESN'T happen in that episode. That episode -and this trope- was parodied in a Mazinkaiser episode also titled Kouji Kabuto Dies In Lava!. Many anime will do this during a preview for the next episode, designed to make the viewers watch it. Naruto breathes it. Bleach has such examples. It actually has episodes titled "Ichigo dies!" "Chad dies!" "Hiyori dies?" "Soifon dies?" Subverted, sort of, since nobody important ever dies. Or so we thought, until Yamamoto's death at the hands of Yhwach. One infamous example was in Dragon Ball Z, where the preview for the 86th episode (71st in the original Funimation run) ominously questions the outcome of Vegeta's current fight. Then the title of the next episode is shown: for Funimation, it's "The End of Vegeta". In the Japanese version, the title card at the end of the preview says, "Such Regret...!! Vegeta, Pride of the Saiyans, Dies". Doesn't get much more explicit than that. The thirty-second episode of Fushigi Yuugi is "To Die for the Star of Suzaku". The episode after that is named "Nuriko, Eternal Farewell". At one point, a rumor came up that the author said that one of the Straw Hats would die. It actually turned out he was referring to the Going Merry, which actually did meet its end a few arcs after the rumor began. On the other hand, a later arc has a chapter and its respective episode with "Ace Dies" right in the title. You'll never guess what Ace does in that chapter and episode. The title for episode 45 includes "The Sailor Soldiers die!" in it (and I'd bet they spoil the hell out of it in the preview the episode before). Which, of course, is exactly what happens (they get better). They do it again at least once more in the S season, mentioning Uranus and Neptune's deaths in the episode title. Mi Xim triggers this trope after the fortune teller Crete predicts that one of the main cast will die: Several of them just barely avoid death in the fights leading up the Climax Battle against Dodo the Clown, who proceeds to destroy the protagonist's living finger puppet Tongari and very nearly kills off another one of the main characters. However Tongari is revived, Dodo is defeated with seemingly no casualties to speak of, and when the dust finally settles... Another villain comes right out of nowhere and kills Jyuuzo, the big guy of the Five-Man Band. An episode of the Japanese Transformers series The Headmasters was titled "Ultra Magnus Dies!" Take a guess what happens. The Digimon franchise has a pretty bad case of putting this in their titles. In Digimon Tamers, there is an episode entitled "The Kind-hearted Hero! Leomon Dies!" Guess what happens in that episode. Similarly, in Digimon Xros Wars, "Stand Up, Kiriha! The Last Cry of Deckerdramon" and "Beelzebumon Fades Into the Light!! ", and in Digimon Adventure, "Goodbye, Numemon". Digimon Frontier is guilty of it, too. One of the seasons last episodes is called "Light and Darkness Become One! Kouichi's Last Wish". It is something of subversion, though, as the death in question was of the Disney variety. In episode 5 of Kokoro Connect, Heartseed, apparently getting bored with how dull their lives are, decides to change things up by taking over Iori's body, and throwing it off the bridge into the river. Later at the hospital, he tells the other four characters that she only has 30 minutes or so to live, so they have to decide who's going to die, and allows them to switch bodies freely at will for the duration. After much angst and talking, Iori decides that she should perish with her body, as she would be sad if someone else died in her place. Then the doctor comes out, pulls down his mask as he prepares to tell the characters what happened... and says she'll be making a full recovery, ultimately averting the trope. Heartseed gives them a cake as a sort of apology, and also says that they learned a lot about each other from this experience. Late in the Grand Magic Games arc of Fairy Tail, Levy writes in her letter to Lucy that on July 7, X784, at least five characters will die, including "her beloved". Their names are not mentioned, though. A long-standing joke in the Macross franchise is that if a pilot eats, requests, or is promised a pineapple dish, they are going to die, after the famous Super Dimension Fortress Macross episode in which Roy Focker dies after being promised pineapple salad. Macross Frontier played with this when they quite clearly played up Ozma Lee's desire for pineapple cake to be this trope, and then he survives the episode (and the series). Evangelion 303: Chapter 13 is titled "The Death of Asuka Langley Soryu", she had already attempted suicide in the previous chapter, and Shinji's narration says it was the last time he saw her. She doesn't die, but her name does since Shinji proposes to her and she accepts. While not through advertising, an interesting take of this trope is used in Dragon Ball Z Abridged. Ever since episode 17, the first episode where the characters spoke the Once an Episode disclaimer instead of KaiserNeko, there's a high chance that whoever spoke the disclaimer will be dead at the end of the episode where they spoke it. For The Simpsons Movie, it was claimed that someone would die, and never be back in the series. After a few fake alerts, in the end the huge glass dome collapses, shattering glass everywhere. Chief Wiggum comments on the fortunate fact that nobody got hurt. Cue camera zooming out and the audience seeing Dr. Nick lying underneath a HUGE chunk of glass. He did, however, get better and reappear in the series. At the beginning of Rango, a Greek Chorus of mariachi owls point out that the movie will follow the story of Rango from his origins to his "untimely death", which they periodically remind the audience will happen throughout the film. At the end, the owls point out that of course Rango will die, because everyone does eventually. But he never dies in the movie, onscreen or off, making this a subversion. The Japanese trailers leading up to Godzilla vs. Destoroyah ran with the catchphrase "Godzilla dies". While it would seem that a Monster of the Week based off the Oxygen Destroyer that killed Godzilla before would finally slay the King of Monsters (this was, at the time, Godzilla's third incarnation), it wasn't actually the case. Godzilla was actually killed when his nuclear body began to melt down, and Destoroyah apparently had nothing directly to do with it. While Godzilla does die, the baby Godzilla that had been maturing since Godzilla vs. Mechagodzilla II would eventually absorb the dying Godzilla's radiation, both saving the Earth from a catastrophic explosion and, more importantly, mutating the Godzilla Junior into a full-grown replacement to his predecessor. Even if that had not happened, that movie ended the Heisei continuity and later Godzilla films were set in mostly separate continuities, so they wouldn't be affected by Godzilla being dead in this one. The Phantom Menace teases a Character Death in the trailer, showing a shot from Qui-Gon's funeral depicting some of the characters near a blazing fire and Jar-Jar looking uncharacteristically somber. Books four, five, six and seven of the Harry Potter series were hyped in this manner. The first death was a minor character (though still shocking due to the younger demographic the books appeal to), but the subsequent two have been genuine reminders that Anyone Can Die. In book seven, not only did the author make several comments suggesting the deaths of certain main character(s), newspaper articles concerning the book made it seem like the whole point of the book was finding out who dies. Here's the list of deaths. There's also a character, Professor Trelawney, who subverts this. In her first appearance, she predicted that one of the people in the room would leave, never to return, around Easter. Everyone interprets that to be a death omen. Around Easter, Hermione gets sick of the constant death predictions and drops the course. The Framing Device of one of the supplementary Animorphs books is the Ellimist speaking to an unnamed character as/after they die. "It began with six. It will end with five." It was Rachel, by the way. In the second book of Robert Jordan's The Wheel of Time series (The Great Hunt), Verin reads a prophecy that states "Five will ride forth, and four return." The prophecy comes true later when the heroes do indeed ride into a dangerous city near the end of the book and come back short one member. In-universe, what would happen might have been legimately suspenseful to Verin, but given that three of the five riders were ta'veren and the other two were Mauve Shirts, the reader didn't have too much to worry about. The back cover blurb of Avalon: Web of Magic's sixth book, Trial by Fire, advertised that someone died. It was Stormbringer, later revealed as a Disney Death. The prologue of Twilight opens with an unidentified cat being told by StarClan that they will die soon. We never realise who it is until they finally die at the end. The blurb of Sunrise ends with the phrase "and one more warrior may be lost forever...", which likely refers to Hollyleaf's death. Although this may be a subversion, since it is likely that Hollyleaf actually survived, in which case it could refer to her literally being lost, or losing her sanity and status as a warrior. The first book of The Belgariad sequel series The Malloreon, has a prophecy dictating one of the party of heroes will not survive their quest. Just before the final battle, every single one of the party comes up to say goodbye to Belgarion (who, being the acknowledged hero, is the only member who isn't even theoretically in danger), since they all think they're going to be the one to die. It turns out to be Toth, Cyradis's guide, who is somewhat forgettable. This becomes Fridge Brilliance when you realize that every other character in the story has had a role in the adventure, something that the characters have explicitly realized and discussed - meaning Toth came along specifically to be killed at this point. In the Gregor the Overlander, an ancient prophecy states that 12 will set out on a quest "and eight will be left when we count up the dead." Sure enough, by the end of the book, Tick, Gox, Treflex, and Henry have all met their maker. Inverted and parodied in The Hitchhiker's Guide to the Galaxy, where, before a dramatic and dangerous scene, we are informed (supposedly to relieve the painful suspense) that all the characters survive the scene, and that the worst any of them suffers is a bruise on the elbow. It preserves tension by not specifying who receives the bruise. It's Arthur. My Brother Sam is Dead stays true to its name. Early in the Redwall book The Bellmaker, a prophecy states "Five will ride the Roaringburn, but only four will e'er return." It's a subversion - the fifth person stays behind in the land they visit. This was well after the point Brian Jacques stopped letting heroes be in real danger. The blurb on the back of the second Survivor Dogs book says "The lines between packs will blur— and not every dog will survive". True to form, characters do die. Alfie is suddenly mortally wounded by Alpha in the first chapter. Legend of the Five Rings is an interesting case. The story regularly kills off important characters (plus some not-so-important), yet sometimes offers the choice of who will die next as a tournament prize, thereby promising Tonight Someone Dies to the participants. The Celesial arc began with a tournament in which everyone voted on which of the Clan Champions they wanted to see bite it. In 2018, the Ohio amusement park King's Island announced that it was shutting down one of its sixteen roller coasters, but without initially specifically stating which one, posting only a sign stating "The air is eerily calm as we make final preparations for the ill-fated demise of one of our own. 10/28/2018" with a mock grave site set up with a funeral display. It was later revealed to be the Firehawk roller coaster. The video game Metal Gear Solid 4: Guns of the Patriots was hyped in a similar way. Trailers for the game hinted at the possibility of Snake, the main character, committing suicide and the game is being called "Snake's Final Mission". Snake did, die... it just wasn't Solid Snake. MGS 3 star Naked Snake (better known as Big Boss) is killed (after convincing Solid Snake not to kill himself). Hideo Kojima actually said before the game's release that Snake wouldn't die, because everyone was worried it was going to happen just for the sake of killing off a main character, and he didn't see any other (i.e. good) reason to kill Snake on-screen. There probably aren't many who would argue that Snake's send-off as a man nearly dead of old age, after being talked down from suicide by and reconciling with his "father", is a much more powerful scene than a direct death would've been. In Chrono Trigger, upon arriving in the Magic Kingdom of Zeal, a boy named Janus (who grows up to be Magus) tells the party that one among them will soon die. He turns out to be right, and the game even flashes back to the conversation when it happens. It's Crono, though it probably should've been obvious, since it's "one among you"
Mass Effect played this up heavily in the prerelease trailers. They weren't kidding, either. Better yet, you choose who. Mass Effect 2 has this as an important selling point. Subverted, though, as Shepard is resurrected and it's possible to save your whole team and crew in the "Suicide Mission", provided you make the right choices. The tagline of The Passing DLC for Left 4 Dead 2 is that "No One Survives Forever". In it, the 4 L4D2 survivors run into 3 of the original L4D survivors, the other survivor died in a Heroic Sacrifice to save the others. A comic tie-in and a future DLC will show just who died. Before this DLC released, a poster of the Passing got released. It had the Left 4 Dead survivors silhouettes in the background. If you refreshed/clicked on the picture, one of the Left 4 Dead characters' silhouettes would be missing, implying that they'd be the one to go. However, if you kept track of Left 4 Dead news, you'd know that Zoey and Francis were confirmed to live, as Ellis gets a crush on Zoey, and Nick has banter with Francis. The makers of Ōkamiden strongly hinted in an interview that an important character dies. They weren't kidding. 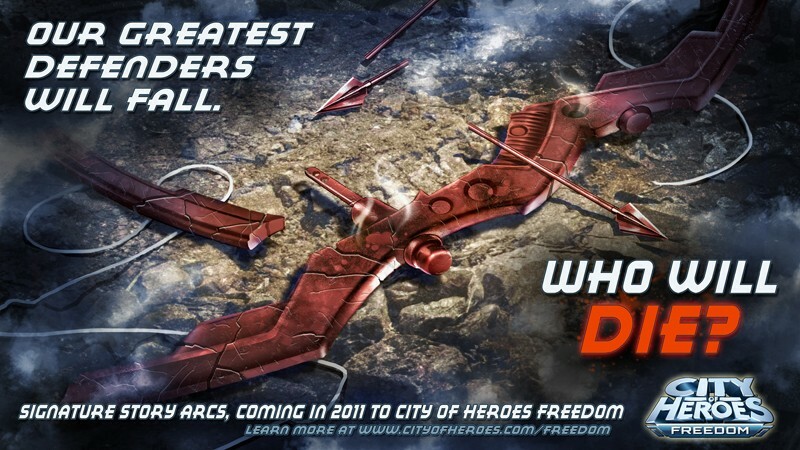 City of Heroes did this as part of the promotion for their upcoming free to play transition as seen in this ◊ promotional teaser. 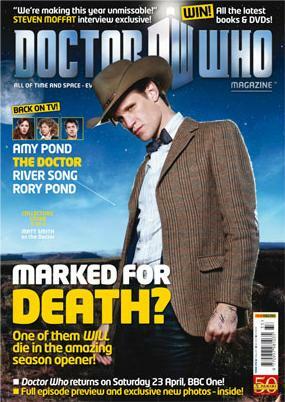 The Signature Storyline entitled "Who Will Die?" featured the deaths of three characters: Alexis Cole-Duncan, the daughter of Statesman and the mother of Ms. Liberty, followed by Statesman himself, and, as a surprise bonus death, Sister Psyche. One of them made made their first appearance in the story arc where they get killed, but the other two are major characters. The game was even changed in the following update to remove all references to them as living characters, so it's not as much of a spoiler in retrospect. Menendez: Tonight your father will die! Alex Mason and Jason Hudson, two of the main protagonists, do indeed die a few missions later, though Mason's death can be averted. In Batman: Arkham City, if you remain in the bell tower after The Joker counts down to one, he will creepily make this reference before threatening to blow up the place for real this time:note It turns out that the Joker dies from Titan poisoning right at the end of the game. Joker: What are you waiting for? We both know how this is going to turn out: you're going to come and find me. You can't stop yourself, can you? Sometimes I wonder if all this would just end with one of us looking down at the other's corpse, trying to work out what to do next? The only question is, whose body will it be? I know who I'm rooting for! [giggles] What about you? [laughs madly] Now, get out of there now, or you'll ruin everything!!! The Runescape world event The Bird and the Beast was hyped as this. The conflict was between Bandos and Armadyl racing to build their respective god-killing superweapons, with players deciding which side to help. The loser would get the wrong end of the winner's completed weapon and die, unlike the previous world event where the loser was merely weakened. Armadyl won the day and Bandos was Killed Off for Real. "On the next Red vs. Blue...someone..." (camera on Grif) "...will..." (zoom-in on Grif) "...die." (close-up on Grif) It was Church by the way, not that it did much. Game Dogs is currently making use of this trope as a promotional stunt. Fully skewered in the Girly, though not through advertising. A fortune-teller tells three cops that one of them will die today, which of course means that the one just introduced two frames earlier, whose name is Officer Getskilled, will die, right? Wrong! It turns out she's talking about a fly that was on one of the cops' shoulder at the time she made her proclamation. Institutionalized (somewhat) when, once a year for the month of October, the creator runs a story arc with a generally higher chance of offing a character or two. These are usually minor characters, and the two times a main character has been killed involved bringing them back later, though not without a large effort to make sure they come back, or a reasonable justification. Given all the foreshadowing that's sprinkled throughout the strip's early days, which only becomes evident upon re-reading, it's safe to say that no "resurrection" has been a Retcon, but deliberately planned. In a story arc begun by this strip of Irregular Webcomic!, the author (a character in the comic) announces the impending death of a major character by the end of 2007 (some 5 months after the announcement). Soon, nearly every theme is set up with characters facing deadly circumstances. In the end, the author himself is shocked by who it turns out to be . Near the beginning of Dominic Deegan's "War In Hell" arc, Dominic has a "vision" called the "Fated Fatal" which only lets him know that someone he knows will die. Cypress of Last Res0rt invokes it when telling Veled that she expects two of the players to die in the second episode — of course, it's at least a LITTLE justified given that she's running the Deadly Game Show Within a Show, so knowing who's likely to survive the challenges provided is just good business sense. Lampshaded in Sev Trek, where one instalment of the "Pus In Boots" story was preceded by the text "In this chapter, someone will die! Will it be Gaudy, Barf, Piker, Beta, or Ensign Unimportant?" No prizes for guessing which one it was. Parodied in this Nedroid comic. For those of you wondering, the sharkman, bird, and beartato are all regular characters, and the man has never appeared before. Satirized in this Dinosaur Comic, in which Spider-Man! Will! Die! "This instalment of Dinosaur Comics stars T-Rex, Utahraptor, Dromiceiomimus and a cat that comes up in conversation. Not a dream! Not a hoax! Not an imaginary story! In this issue, one! Of! These! Characters! Will! DIE!" In Unsounded it's promised that not everyone will live to see sunrise. Two named characters die, one partway through, the other right at the end. Goblins promises "Even main characters can't live forever." By the end of the story arc to follow, Klik dies. Vocational Death Cruise is an online comic competition that announces the number that will die beforehand. It's not who'd you expect. Done twice by lonelygirl15, in the advertising for both "Bloodlines" and "Prom: It's To Die For". There is actually an episode of "Chad Vader: Day Shift Manager" named "Somebody Dies". The character is actually a fairly important role in the show, though he does return in later episodes as a demented ghost. Even a Video Review Show has done this. Episode 47 of The Game Overthinker, written during the Genre Shift from "some guy talks about Video Game Culture" to "guy fights bad guys while discussing game culture", ends with the announcement that a character on the show will die in the next episode. Said episode has Strawman, a joke character created to embody fan criticism of the show, catch up with the Overthinker, and annoy him so much about how dumb the show's new direction is that the Overthinker elects to shoot him. Older Than Feudalism: Since training gladiators was expensive, people weren't killed in Gladiator Gamesnote Not to be confused with circus executions, which didn't involve gladiators nearly as often as Sword & Sandal movies like to make it look. Such "high-stakes" games were announced well in advance, ensuring that no seat be left empty.